For financial advisors, who help individuals or legal persons protect and grow their wealth, having a reliable website which provides ample advice on financial concerns, such as investments, taxation, pension, savings, salaries, mortgages, financial regulations etc, is very crucial for becoming known to potential clients. However, simply having a website as a financial advisor does not do the trick, as it also requires proper SEO in order to become known, rank high in search engine results’ pages and attract and convert clients for the financial advisory services offered. 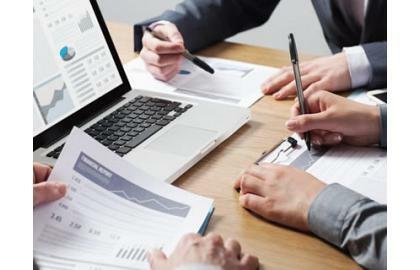 Lead Generation for Cyprus based financial advisors, a field that is flourishing in this small country, can be greatly aided by SEO on the websites of financial advisory firms. Properly done SEO enables a financial advisor spread the word about the services he/she has to offer, showcase to prospective clients what he/she can do to help them achieve their financial goals and better manage their wealth, explain the benefits of good quality financial advice and build a relationship of respect and trust with prospective clients, thus managing to win their custom. Financial management has so many aspects that make it difficult for a financial advisory firm to discern which are the right keywords to target when trying to implement SEO strategies on their own. Hiring an expert professional to help out with financial advisory SEO can simplify this process, as an expert will help determine which keywords your target client base users the most, which keywords your competitors are targeting and which keywords will most effectively and efficiently better match the types of financial advisory services you are offering. The field of financial advisory services requires that clients need to meet their advisor in person, because none feels happy to trust a stranger or someone they only know through a pc screen or over the phone to handle their money issues on their behalf. Therefore, as a financial advisor it is important to be able to attract customers from your local region and your vicinity and localized SEO is a great method to achieve this and help you top the rankings for your own city. Moreover, a SEO specialist will help you use geo-targeted keywords and also guide you to get listed in local business directories to help increase your visibility and exposure and effectively achieve localized SEO. As a prime international business centre boasting a booming financial management services sector, standing out in this industry in Cyprus can be painstaking. However, SEO can do wonders and greatly help in this regard and start-business-online has the necessary skill base, experience and expertise to help you take your financial advisory firm to the next level of business. We aim for results, excellence and complete customer satisfaction and pride ourselves for devising and implementing effective SEO strategies for financial advisory firms. Adhering to best practices and strict ethical rules you vow to help your financial advisory website rank high, become established as a leader in your niche, attain brand awareness and prestige and achieve high traffic and conversion numbers. Contact us today to find out more and let us build with you and for you a bullet proof SEO strategy that will send you to the top of your league.